Meet the New Zealanders who are turning their love for all things health-related into lucrative business opportunities. In 2018, the wellness industry is booming – from nutritionists to yoga teachers, there’s now a higher demand than ever before for all things health and fitness related, and it’s not just overseas. We all want to feel better, be healthier and live younger which is why the idea of products and services that focus solely on our overall health and well-being are so attractive. According to the Global Wellness Institute, the global wellness market grew 10.6 per cent to $3.72 trillion from 2013 to 2015, and this growth is expected to continue rising in the coming years. 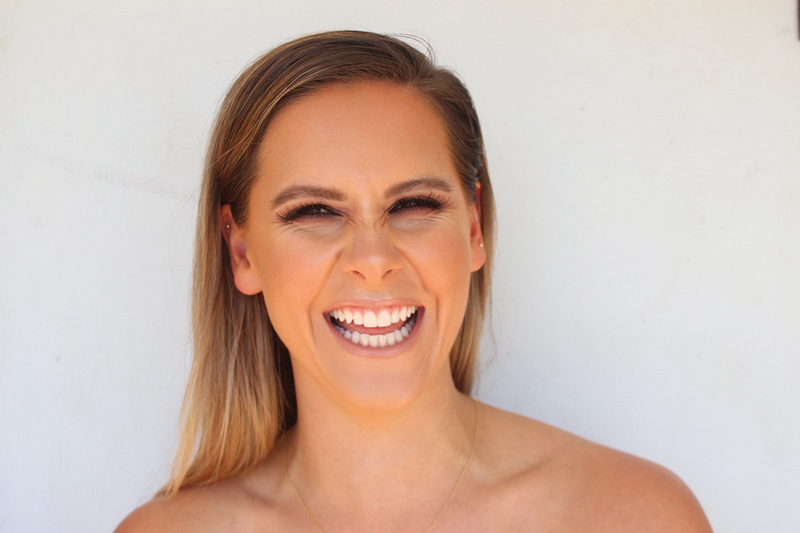 We talked to six New Zealand women who have all taken a jump into the business world and created their own brand of wellness to find out how they achieved success and what drew them to the wellness industry. I work with clients throughout New Zealand, Australia and the Pacific. GDNZ empowers its community to live a kickass, fulfilling life by living a lifestyle of doing more, seeing more and being more. We also have a clothing line and other lifestyle products branding off from the GDNZ. I travel around New Zealand to meet up with clients and help them meet their goals. I was originally a primary school teacher but I’ve always been interested in learning new things, so I decided to do a diploma in Professional Coaching out of interest. One of the papers I did was about setting up your own coaching business and I just thought, ‘Why not give it a try?’ and here we are two years later. I set myself goals. I say it’s good to look at your why and long-term values. Ticking off a to-do list also helps! I’d love to expand my business and get a physical office space. Not having someone to tell you you’re doing a good job is a challenge. You don’t have anyone monitoring your work – so you’re kind of just walking around blindfolded and hoping for the best. After having my business for a year, I resigned from teaching, which was also a bit of a sweaty situation. Working with the clients and seeing the results, especially the mental changes that happen. What advice would you give to other women wanting to break into the wellness industry? 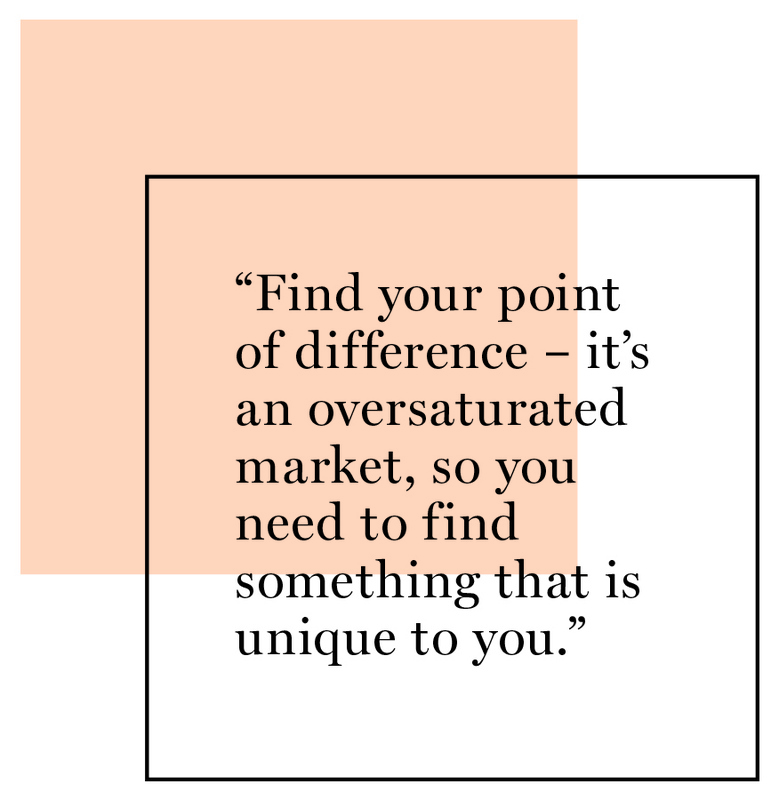 Find your point of difference – it’s an over saturated market, so you need to find something that is unique to you. You need to think about how you can be relatable to your client base. Being your own boss, do you find it hard to keep a work/life balance? It is hard to find balance – I’m always posting on social media at night and replying to comments and messages, etc. I do struggle with working hours but it’s great to be so flexible and I’m very grateful for the freedom I have. You can check out Bridget’s website here. How was Clique Fitness founded? We founded Clique Fitness in 2017 when we were trying to solve what we now know is a common problem for women – we wanted tights that were affordable, functional and looked good. After searching for the perfect pair and to no avail, we created Clique compression tights – squat and cardio-proof tights that are affordable and look great on. Is it a full-time business? It started with both of us working full-time jobs as well as Clique in the mornings, evenings and during our lunch breaks. In reality, it was like each of us had two full-time jobs. Recently, Bex has moved to Auckland from Wellington to give Clique more time and manage day-to-day. So yes, it is full-time but not in the traditional “working nine to five” sense (points if you just channelled Dolly Parton). Is this the first time either of you have started a business? No – Carena created a swimwear brand named Carena West Swim in 2012, which was showcased in Sydney and New Zealand Fashion Weeks multiple times. The business model for Clique is very different to CW Swim though, so it has been a learning curve for both of us. Witnessing the community that’s being created around Clique is incredible. Every day, we have women sending us positive messages and photos of them in their Clique tights – they post on their own social media channels and share their fitness journeys with us. It’s great to see that we’ve solved a problem for so many women! It takes time. Starting a business requires effort and patience – most of the time, you aren’t going to see results straight away. It can feel draining at times but persistence is essential to make the dream a reality. We’ve found that, for us, it’s not as much about motivation as it is about discipline. Motivation has come relatively easily as we’re both invested in and excited about Clique, so we need the discipline to get the work done and bring Clique to fruition. Being excited and motivated to follow a dream is one thing, but having the discipline to sit down and do the jobs that perhaps you don’t enjoy as much is another. During the first few months, we spent a lot of time ‘perfecting’ the product which took an immense amount of time and multiple samples and tests. At one point we thought we had the final design but realised it wasn’t quite right and had to go back to the drawing board – we got there in the end though! We found living in different cities didn’t make things easy either; there were a lot of calls, constant messages and many, many long drives. We’re going to continue to grow Clique and plan on expanding our range this year! The aim is to keep helping women feel supported as a part of the Clique, in both senses. As we have lived different cities for most of this journey, we don’t really have a ‘go-to’ lunch spot but we do like to change it up! A few of our favourites are Major Sprout (Auckland) and Pre Fab (Wellington). If it has a good hot chocolate, it’ll probably win both of our hearts! You can check out the Clique Fitness website here. How was your business founded? My love affair with fitness started at the tender age of six as a budding ballerina. I was a member of the Royal New Zealand Ballet and danced professionally for ten years in New Zealand, Australia and New York City. When I retired from dancing, I was lucky enough to secure the position as the Executive Assistant to the New Zealand Ambassador at the United Nation in New York City. While I really enjoyed the work and learnt so much, I missed ‘moving’ my body, so I qualified as a Pilates instructor and taught in the evenings. During this time, I discovered barre classes. I instantly fell in love with them and just knew that one day I would open my own studio in New Zealand! I met a Kiwi guy (he’s now my husband), moved to London for two years and taught barre at a new studio where I absorbed as much as I could about running a fitness studio. Upon our return to New Zealand in 2014, I knew it was the perfect time to start my dream, utilising all my experience as a professional dancer, Pilates and barre teacher in NYC and London. Barrefigure was born in September 2014 and continues to flourish three or so years on, bringing truly exceptional and unique barre classes to the Auckland community. Yes! I have 35 classes a week (three to six classes a day/seven days a week) on the schedule. I currently only teach seven classes a week and have four other fabulous instructors working for me. When I am not at the studio, I am answering emails/phone calls, booking clients in, processing transactions, choreographing classes, making playlists, creating newsletters and content for social media, and everything else required with running a business. What is been the most rewarding part of your journey so far? A successful career in dance requires a very specific set of skills, so one of my biggest concerns when I retired from dancing was whether I could ever find anything compatible with these skills to succeed at and enjoy. I certainly wondered whether I had the skills to open and successfully run my own business. So when I discovered that the only thing you really need to run your own business is passion and drive, I realised that my career as a professional dancer had prepared me perfectly. I have proven to myself that a professional dancer can be successful after leaving the stage and can create a new identity and passion. I truly believe that as long as you are passionate about what you do, you can succeed in anything you put your mind to. There is never really the perfect time, so just go for it! I found the perfect studio space to lease and that jump started my journey before I was probably really ready to start one. I didn’t have time to worry about every step, I just had to get in and start doing stuff. I had to trust my gut instinct, push hard for the things which really mattered to me and everything worked out. I think that’s really important – trust that you will make good decisions and that you know what’s best for your business. I’m passionate about delivering results for my clients. Everyone is busy these days, so I really respect the time they give to Barrefigure to help them achieve their goals and working out. I like to think we’ve created a pretty special community at the studio where clients aren’t just clients, they become your friends and we all support each other. I love the chatter of happy clients ready to work out at the beginning of class and the real sense of achievement in the room at the conclusion of the session – after everyone has had to find their inner strength! I’m currently 24 weeks’ pregnant with my second child (my first daughter, Alexa, is 13 months old), so my goal is to get through the second half of the year with two kids under two and continue to successfully run my studio! I hope to also train up another two to three instructors (it takes about four to five months even with their dance/Pilates background which is prerequisite). The Barrefigure studio is located in Ponsonby and we’re lucky to have the epic deli/café Ripe just below us! They have amazing brioches, salads, proteins and sweet treats! If I’m at home, you can often find me working (and having a fluffy and cheese scone with my daughter) at Crave in Morningside. You can check out the Barrefigure website here. How was your first business founded? The first business I founded was Waist Trainer NZ. I was scrolling on Instagram and discovered the waist trainer product, I wanted one myself, bought one, tried it and loved it. So I thought, other girls like me might like it too. Persistence. Growing up, even while at school, I tried to sell many different things for pocket money. I always liked the idea of buying and selling and thought of it as an almost passive income rather than trading my time for money. I think trying new methods, new business models, new products – everything is a learning curve and eventually, you will get it right. My businesses have all been built on social media. Of course, I have also tried all forms of traditional marketing, but social is our main focus. Throughout this journey, I have met so many amazing and interesting people and have been invited to all sorts of events within New Zealand and overseas to talk about my journey. I saw this quote once that really stuck with me, “Day one? Or One Day?”. If you have a dream, why not try it out? You may not get it on the first go, my very first business failed but don’t let that discourage you, everything is a learning curve. Sometimes it can get hard to be motivated when things are going wrong. I think just pushing through and overcoming the hard parts, you will be rewarded in the end and you just have to remember that. What has been the biggest challenges? I’ve had to make many difficult choices throughout my journey, most recently selling my businesses, Waist Trainer and Luxe Fitness, and then starting Bambi Boutique and my Social Media Management business from scratch. There are always challenges with different businesses and hurdles you have to overcome. Currently, I am building my dream home, I want to work hard on my new businesses this year and continue to grow as a person and work on my goals and dreams. Lately, I’ve been loving this new spot called Major Tom in Albany. It’s the same owners of Winona Forever in Parnell, and their food is just too good! You can find out more about Iyia on her website. Yoga & You started as a vision that fueled my passion for yoga. 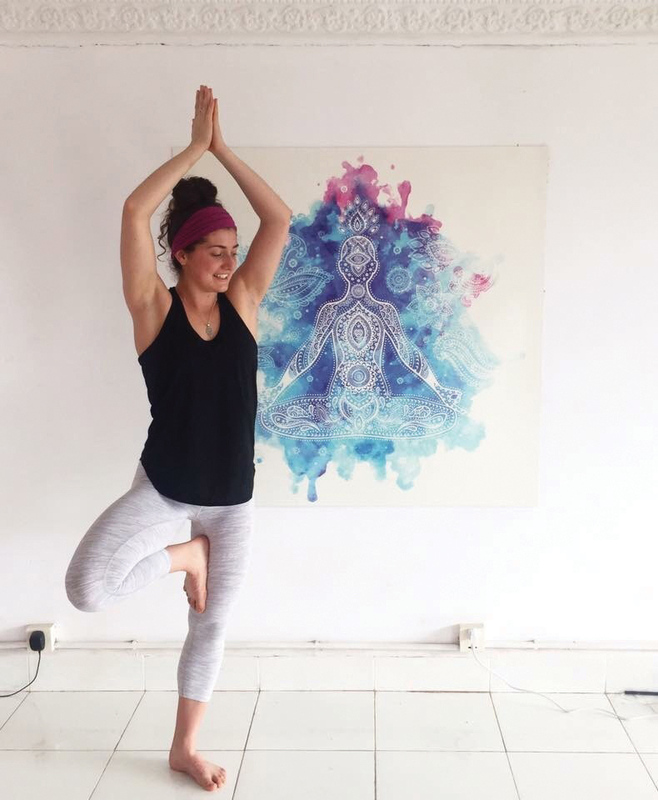 I started teaching yoga at the age of 18 – I finished my last year of school and two months later, I was on a plane ready to begin my yoga teacher training in Bali. Fast-forward a few years later and I’ve furthered my education in yoga here in New Zealand and I’m now a qualified personal trainer. Here I am today, so grateful for the opportunity to teach what I love, to inspire others to begin a yoga practice and to guide people along this beautiful path. Since I was a kid I always had the desire to become an ‘entrepreneur’. I’ve had a lot of little start-ups, even before I finished school and I came very close to launching a healthy tonic! Growing up, I watched my dad start his business from scratch and create a very successful company and that was truly inspiring to me. Being able to help people feel better in their bodies and minds is something very rewarding. It’s the little things that matter – when someone says they how well they are sleeping at night from doing my classes or how much yoga classes have eased their back pain, that’s something very special. Don’t worry about what other people say, do what feels right for you. If that means starting something that may seem pretty ambitious… go for it! One of my favourite quotes is: “Be fearless in the pursuit of what sets your soul on fire”. Balance is key. I could read, write and talk about yoga all day, however scheduling time in my day to go to the gym, walk my dog, eat my meals mindfully and spend time with friends and family is very important to achieve balance and to stay motivated. This ensures that every time I teach, I’m at the top of my game, ready to give 100% to my students! Beginning my own business at a very young age and teaching people twice or even three times my age was initially quite overwhelming for me. However, believing in my skills and remaining true to my authentic style of teaching yoga has helped me immensely. Every class provides the opportunity to learn and grow. This year, I am really looking forward to growing Yoga & You! I am working on having a greater social media presence, by creating informative and interesting content by means of videos, pictures and articles. Falafel Metro is a favourite of mine, their falafels are delicious! Excelso Coffee shop is also another favourite, they serve the best coffee in town! You can check out the Yoga & You website here.